You know, Bart. When I was your age, I pulled a few boners. Son, we're in this mess together. No matter how tempting it might be, I can't let my only boy get ripped limb from limb by a blood thirsty mob... We'll die together, like a father and son should. Kids we're late for church. Get your butts down here right now!.. Very nice Maggie. And Lisa you look lovely. 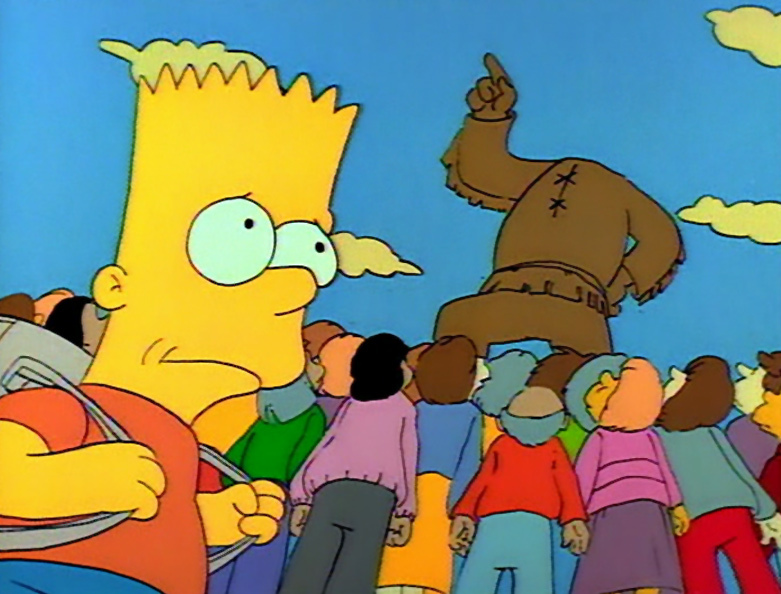 Bart assume the position. Why should I feel like a traffic cop every Sunday morning? I'm just trying to get a little goodness into the family. Um Ma'am, what if you're a really good person but you're in a really, really bad fight and your leg gets gangrene and it has to be amputated. Will it be waiting for you in heaven? And now I'd like to begin today's sermon, which I've entitled, Gambling: The Eighth Deadly Sin. Today is Sunday, the Lord's Day, and yet at this very moment millions of Americans are not in the Lord's house. They're in their own house, worshipping a false idol, professional football. No way, Jose... (murmur) I know what those movies are like. Killing innocent people, eating human flesh, you just get a lot of bad ideas. Here you go, son. Share the wealth. That's what I always say. I might land on my face and end up lookin' like you. You know Bart, I've been kicked out of all four Space Mutant movies. Don't you kids take anything. I'm watching you. I've got eyes in the back of my head. You know, when you look up at clouds in the sky, they start lookin' like stuff... that one over there looks just like a cherry bomb. 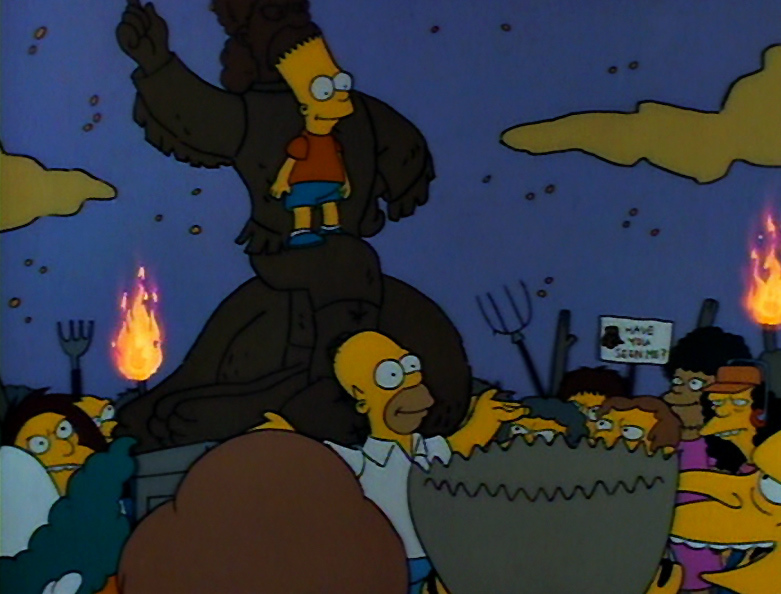 Beat it, Simpson. Man, I thought you were cool. Well, we have no witnesses. No suspects. No leads. If anyone has any information, please dial O and ask for the police. That number again, O. Just a statue?! Is the Statue of Liberty just a statue? Is the leaning tower of Pizza just a statue? I said it before and I'll say it again. Hell in a hand basket. I hope they find punk who did this and I hope they cut his head off. Throwing rocks is one thing, but I would never cut the head off of a guy who iced a bear with his bare hands. There's someone out there in Krusyland who has committed an atrocity. If you know who cut off Jebediah's head, I don't care if it's your brother, your sister, your daddy or your mommy. 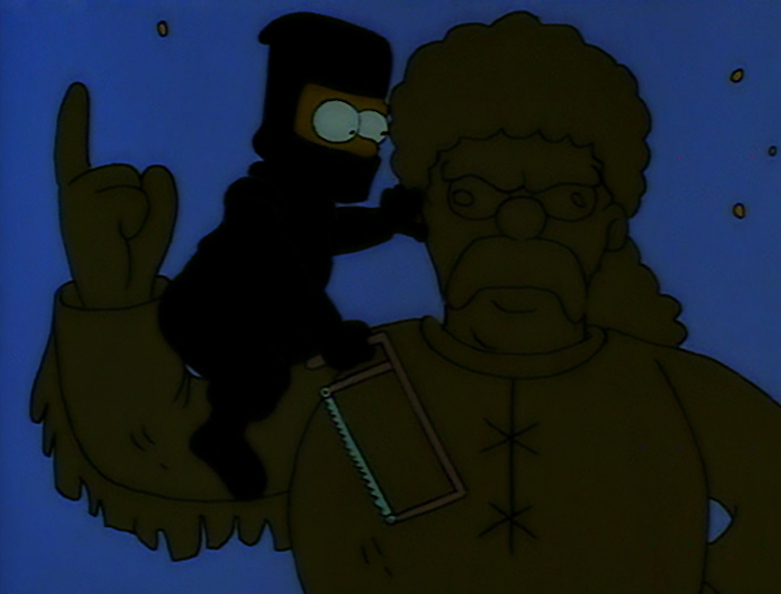 Turn him in and Krusty will send you a free slide whistle, just like Sideshow Bob. 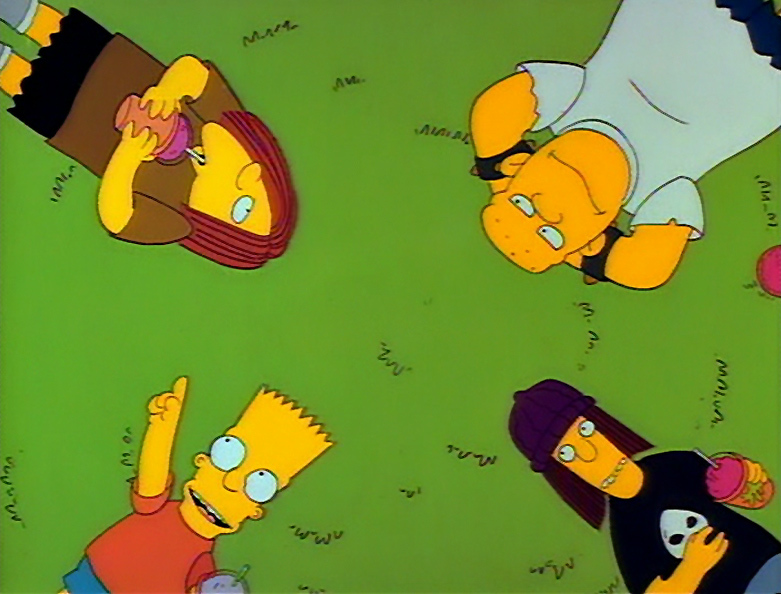 You know, Bart. You don't have to found a town to be a hero. Sometimes a hero can be a young boy with the courage to stand up and admit he's made a mistake. Well, that's my story and if you still want to tear apart this young Sunday school student as he stands on the brink of salvation, I await your wrath. Good going, son. But remember, most lynch mobs aren't this nice. Oh Doctor! We've got a barn-burner here. This could be the most remarkable comeback since Lazarus rose from the dead!